Did the 2017 American Liberty High Relief Proof Gold Coin sell out on its first day? No. 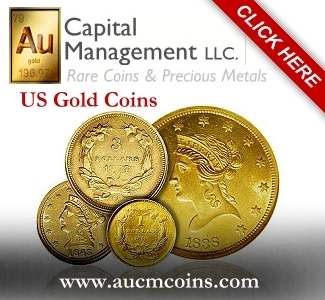 According to Michael White of the Communications Office of the United States Mint, the 2017 edition of the American Liberty gold coin sold 14,285 units on April 6, amounting to a little over 14% of the total authorized mintage. There were no Mint-imposed product or household order limits, so the number of pieces sold is relatively lackluster considering the coin’s position as the lynchpin of the Mint’s 225th anniversary celebrations. The biggest drawback for collectors was most likely the retail price of $1,640 per coin. But from the perspective of the Mint it was a mild success, earning a gross retail income of $23,427,400 USD. Not that the inhibitive price–which reflects the spot price of gold on the open market and is calculated according to the Mint’s pricing grid for gold and platinum products–will stay the same. After May 6 the initial pricing discount expires and the full retail price of $1,690 goes into effect. Other than price, it’s hard to say with certainty what impacted first-day orders. Generally speaking, customers were able to access the website and place orders. 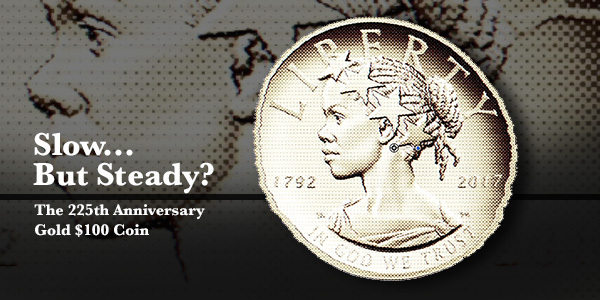 Some collectors have expressed their dislike of the design, which features a young African-American woman on the obverse and an eagle in flight on the reverse, with certain elements (the outsized stars on her diadem, for example, or Liberty’s hairstyle) coming in for special criticism. Other collectors have complained that the coin represents “politically correct” pandering to a specific ethnic group, and for that reason is not a good choice to portray the allegorical Lady Liberty, who is supposed to represent all Americans. Still, despite the tepid response on April 6, the one troy ounce, 24-karat high-relief gold coin with a Proof finish managed to sell approximately three to four times more product on its first day than the majority of half-ounce First Spouse gold coins of either finish have over the course of years. At the recent Whitman Spring Coin and Collectibles Expo in Baltimore, the United States Mint showed off the pre-release 2017 American Liberty gold coin in all its Proof strike luster in a rotating display at its booth. Also inside the display were four silver medals of the same design, each with a different finish. Besides immediately seeing how the Mint’s promotional images of the gold American Liberty didn’t do the coin justice (something its new owners have also noted), CoinWeek assumed that the four medals were the extent of the 2017 American Liberty High Relief product range. Instead, the U.S. Mint is offering two product options for the American Liberty silver medal line: one silver Proof medal from the Philadelphia Mint to be purchased individually, and a four-medal set that contains one medal in a different finish from each of the Mint’s currently active branches. Included in the set is a Proof medal from the San Francisco Mint, a laser-frosted Enhanced Uncirculated silver medal from the West Point facility, a regular Uncirculated medal from the Denver Mint, and a Reverse Proof from Philadelphia. At the time of writing, there is no information available regarding mintage, product or household order limits. Neither the Philadelphia Proof silver medal nor the four-coin medal set have a release date as seen in the Mint’s online product schedule, nor has pricing information been announced for the one-ounce, .9999 fine silver collector medals. Not mentioned in the article is the results from the big releases in 2016 – namely the gold mercury dime, standing liberty, and walking liberty. All of these gold coins carry a silly premium to gold. 2016 results show that the upside to these newly minted coins is low, if not negative. You can buy these coins on ebay for very good prices, not to mention you can still buy the 25C and 50C on the US mint. A 40-45% premium over gold is not price correctly. You can buy a very nice, very old coin for that money. Holy Jack Kennedy, Batman! Four mints? Four finishes? Lemme guess, blue cardboard holder? Besides the price, I think another reason the 2017 Liberty High Relief Gold Coin is off to a slow start is the ridiculously high mintage. The U.S. Mint certainly thought “outside the box” in coming up with a refreshingly different design, and I was looking forward to its release until I saw the authorized mintage. 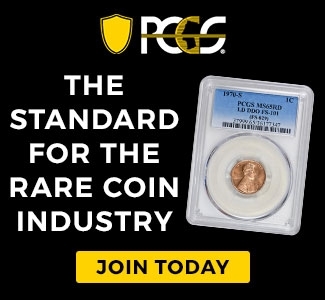 With up to 100,000 coins to be made, I believe there is no way this will be a sell-out, and while most modern Mint issues do not have much profit potential on the secondary market, any hope that a collector might eventually be able to sell one at even a break-even price has flown through the window with potentially such a huge number of coins out there.